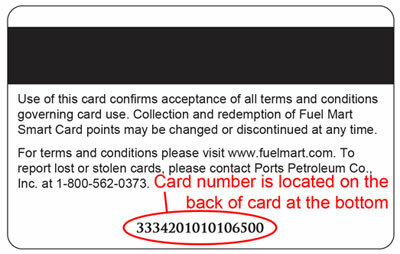 Important: If you picked up a new card in the store and are wanting to transfer your points from an old card, please be sure to register the old card first. Once registered, you will be able to log in and update the card number to your new card, which will transfer all of your points and information. If you have questions or need assistance, please call customer service at 866-791-4363. By checking this box you indicate your consent to the terms and conditions above. Do not send me special offers or savings. By checking this box you understand you will not receive any additional offers or savings by mail or email.